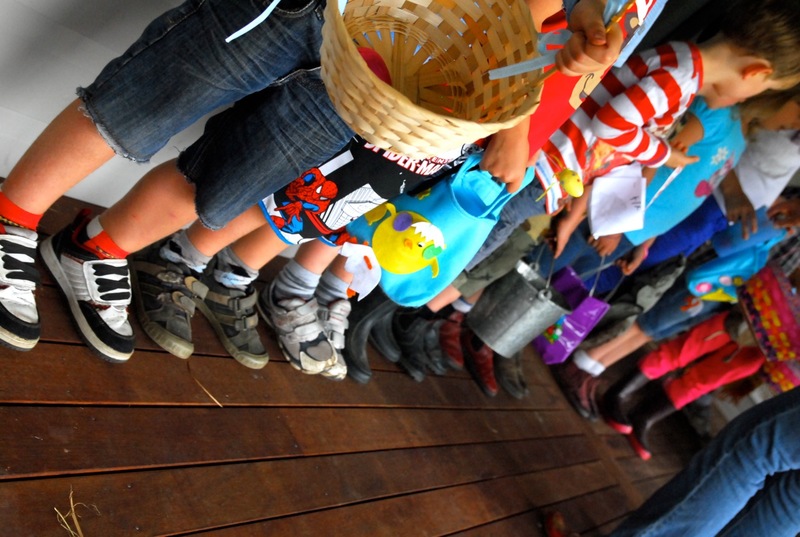 We had an Easter Egg Hunt at our place on Easter Sunday. Twelve kids and fifteen adults. 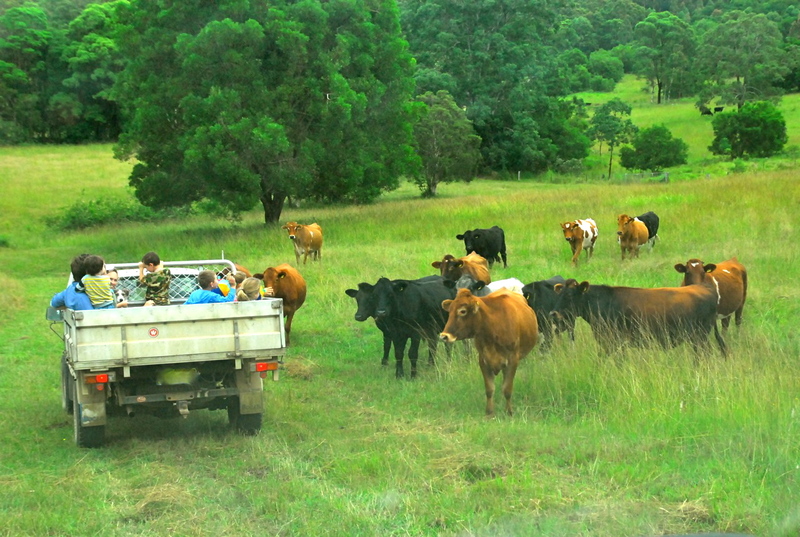 Everyone piled into the trays of two utes, and we headed off down to the back paddock in search of chocolate eggs. I’d been down there earlier in the morning to “move the cattle” and had spotted a couple of Easter Bunny clues which I’d taken back to the house to show The Kid and his little friend who was staying with us. 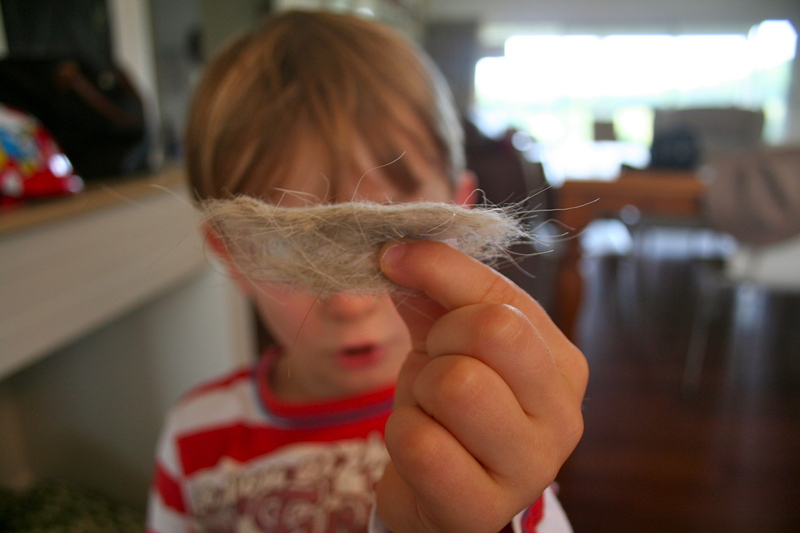 Bunny fur (which struck an amazing resemblance to goat hair, hmm.. strange) from the barbed wire fence and a chocolate Easter egg. The boys were excited. So we took the utes to the spot where I’d found these tell-tale signs to start the egg hunt. On the other side of the gate, I noticed the first egg, medium sized with a hot pink wrapper – gone. The wrapper was left lying discarded and shiny in the dewy grass. My heart sunk. Something had eaten the egg, and perhaps all the eggs. I had, I mean, the Easter Bunny had only been down there an hour previously. Who? What? Then I noticed the chocolate egg itself lying some three metres away. It had little scratch marks in it, but was basically intact. Whoever, or whatever it was had carefully peeled back the paper, tried the chocolate and decided it wasn’t much chop. So much to my relief, the remaining eggs were all as I’d the Easter Bunny had left them. 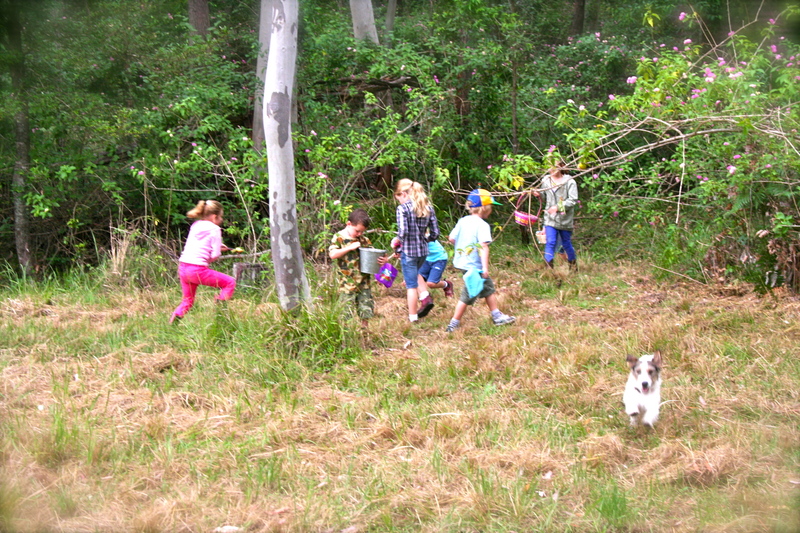 We opened the gate and let the excited kids loose to forage for eggs. Hubs had slashed a winding pathway through the grass which they ran along, carrying their baskets, missing the little colourful eggs along the way. 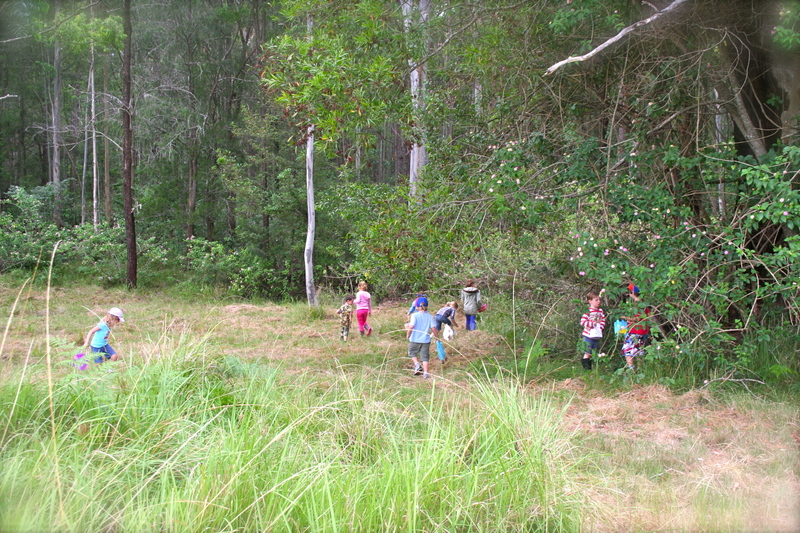 Then they came to the eucalyptus trees, the lantana and the scrub. Scurrying here and there, squealing and calling out, they eventually found all the eggs, even the larger ones sitting up high in the lantana. Despite his best efforts, Jones didn’t find one egg. I think he was just too excited. There had been only one rule: no eating eggs on the hunt. Amazingly, everyone complied. Back at the house, all eggs were pooled and then re-distributed by Amy. The kids lined up patiently awaiting their ration. And then they played. The grown-ups had tea, coffee and hot cross buns. 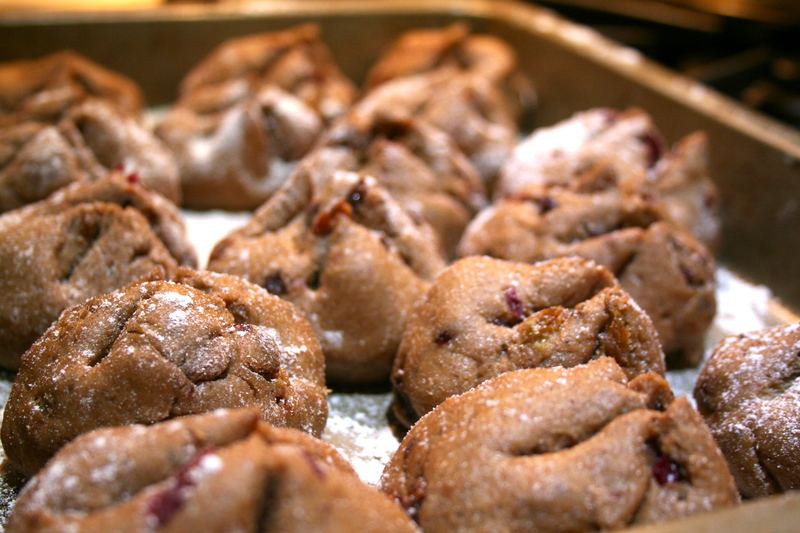 Home-made hot cross buns, mind you. We had our friends Kylie and Tom the Chef staying. 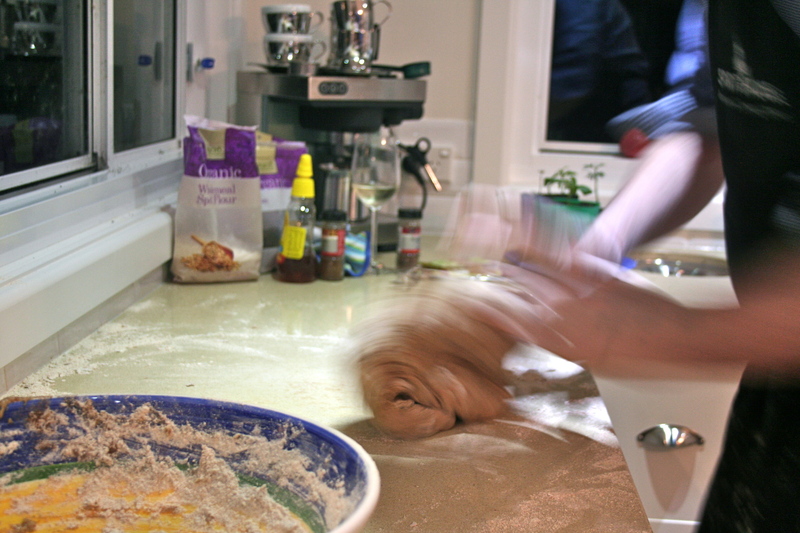 On the Saturday evening Tom had taught me how to knead hot cross bun dough in our kitchen. It was some workout let me tell you. But oh so worth it. The hot cross buns went down a treat and the kids filled up on chocolate. At one point, I noticed someone huddled underneath the table on the verandah. I lifted the tablecloth to find one of The Kid’s good friends hoeing into his Easter egg collection. I said, ‘are you OK under there young man?’ My question was met with a huge chocolate-filled grin (I mean chocolate everywhere) and an enthusiastic nod. ‘Does your Mum know you’re eating all those eggs?’ The grin got bigger and he shook his head, this time not so enthusiastically. Sometime later the same little man had to be dragged off the trampoline, bundled into the car screaming his heart out, not wanting to leave, choc-a-block with Easter eggs. I love chocolate, and it turns out I love Easter Egg Hunts too, but you can have too much of a good thing it seems. Thankfully, for all our sake’s Easter only comes around once a year. But there’ll be another hunt here again next year, I’m sure of it. Disclaimer: We usually only use our own photos in our blog posts, but I have to admit that some of the photos in this post were taken by Bec C. I did seek her permission before posting them however, so fingers crossed she won’t sue me. This entry was posted in Cooking, baking and preserving, Kids in the country, Life in a small community and tagged Easter egg hunts by Bec H. Bookmark the permalink. Oh Bec I hope you realise you have started a family tradition. 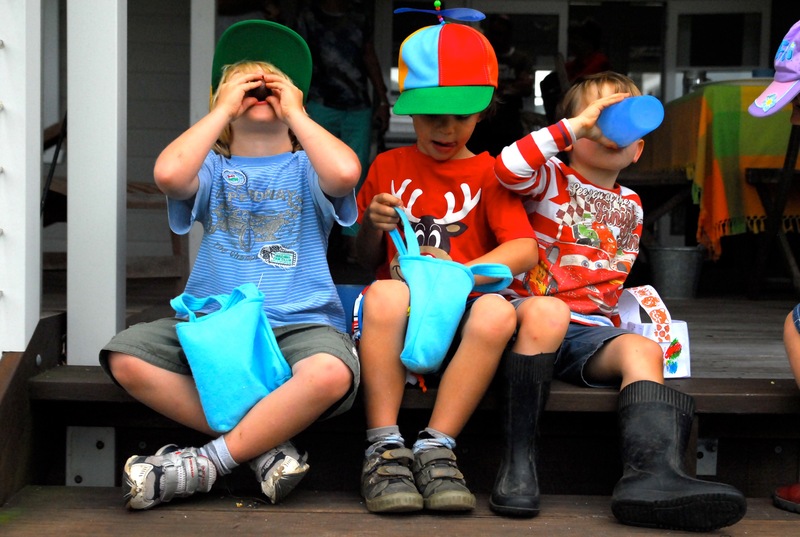 I have photos of my Grandchildren from tiny tots to teenagers every Easter here visiting to hunt around the farm. Unfortunately long gone is the mad scramble of little ones now I have to make up clues leading to each egg site. Just thought you should know so you can start early to make up clever clues as they have to be different each year!! ps Great to see how good your cattle look must be all the TLC you give them. Thanks Alice. Sounds like I might need to start my preparations for next year now! Oh, the pressure. And thanks for your comment about the cattle. I certainly don’t pretend to be a good judge, but to me they look fat, happy and content – can’t ask for too much more than that, can you? Love your work Bec! Sounds like a blast! Thanks Kyls. It was good fun, and I think some of the adults got just as much of a kick out of it as the kids! We had a couple of eggs taken by squirrels over here! Do you know who the culprit was? Maybe an Easter bunny? It could have been the Easter Bunny Michael, but we think perhaps more likely it was a bird of some sort.. attracted from the air by the brightly coloured shiny paper, but disappointed by the chocolate. I hope the squirrels enjoyed their stash!